You have several options to keep your baby’s teeth free from decay. 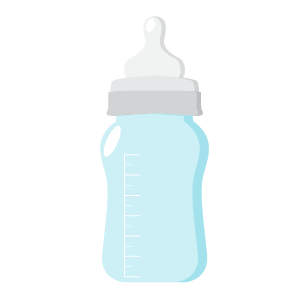 The best way is to avoid putting your baby to sleep with a bottle. Or, make sure to only fill the bottle with water. No matter the time of day, be especially careful about juice because it has high amounts of sugar. If you do allow juice, it’s better to serve it in a cup rather than a bottle. Most children should be able to drink out of a cup after their first birthday. Preventive care like brushing and regular checkups is key. Experts recommend scheduling your baby’s first visit within six months of the first tooth and no later than the first birthday. Clean their teeth according to infant dental care recommendations. As soon as baby teeth appear, you should begin brushing them with a baby toothbrush and a smear of toothpaste about the size of a grain of rice. Around age 3 you can begin using a pea-sized amount of toothpaste. Begin flossing when your child has two teeth that touch.